No more asking "what to eat?" 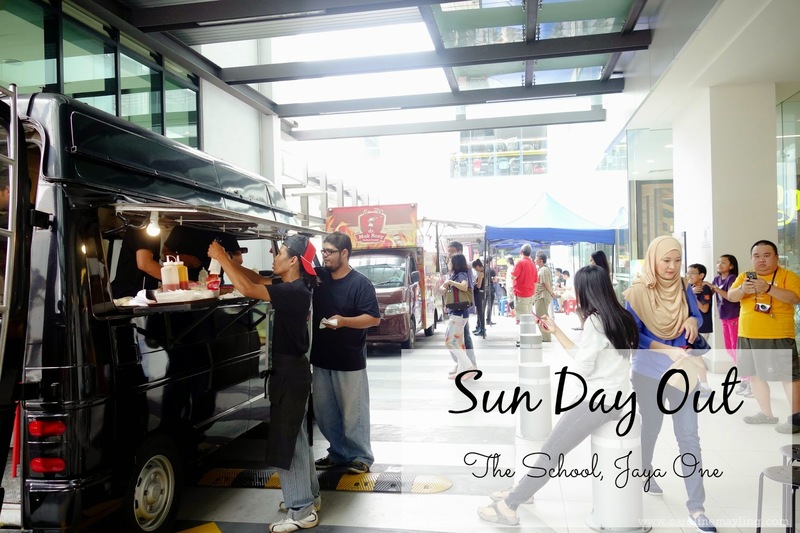 if you're going to spend your Sunday at The School, Jaya One! Thanks to Jaya One for their new "Sun Day Out", with the aim to promote quality family time, now we all can indulge ourselves with various food in one place! It will be held every Sunday from 10am until 4pm, young urban families can now look forward to plenty of fun family-oriented activities. There'll be a myriad of enriching activities for kids are taking place every week such as indoor cycling, arts and crafts, storytelling, coding and programming based on the different themes carried out periodically. ‘Sun Day Out’ at The School constantly introduces fun and easy learning experience for kids of all ages to instill the love for learning. Parents, #waitwhat! Another key feature of ‘Sun Day Out’ is none other than the much talked about meals-on-wheels which recently have been taking up Klang Valley by storm. ‘Sun Day Out’ also serves as a platform for budding culinary entreprenuers to whet the taste buds of food aficionados with their palate-worthy food creations. Well, I am ALL about food! Now, allow me to share more about this with you! Ohai Crazy Potato fans! You'll get to enjoy your fresh British chips with your favorite toppings on a "Sun Day Out" too! I always love my fries with their wasabi mayo topping! Yums! If you feel like grabbing something that is not too heavy nor light, look out for the Wheeloaf food truck! Wheeloaf is one-of-a-kind truck that specialises in gourmet sandwiches particularly in panini and grilled cheese sandwiches. Their current best sellers are Mighty Beef (Panini BBQ Pulled Beef) and Gargasm Madness (Panini Garlic Confit Chicken). Get yourself the “7-inch of Stuffed Awesomeness” from Crzypuff! It is the first reimagining of the traditional empanada (also known as calzone, saletnas, pates or karipap). Crzypuffs are hearty pocket meals packed with a choice of savoury and sweet stuffing. p.s: They also offer FREE delivery throughout the Klang Valley. Here's something for fellow burger fans! Indulge yourself with various type of burgers from Big Hug Burger on a 'Sun Day Out'! 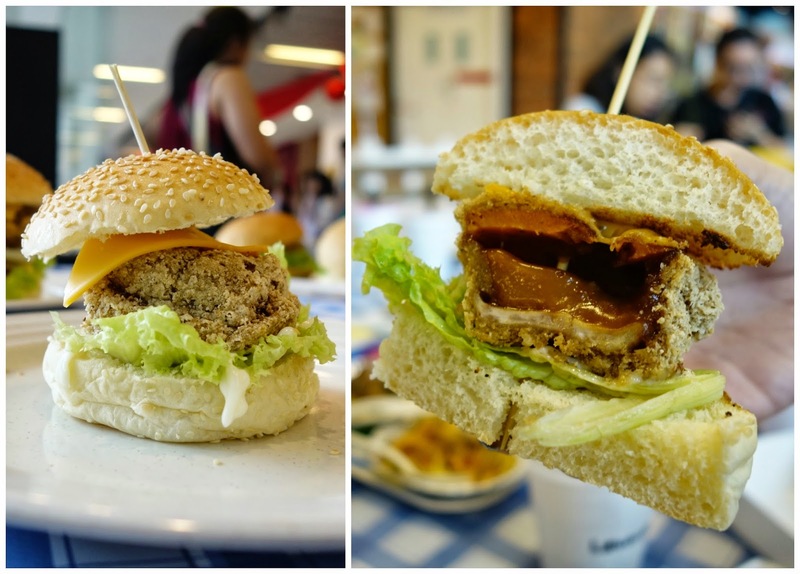 The 'nian gao' burger with nian gao as the patty, tastes uniquely good. We heard that's for Chinese New Year special only, make sure you try it before it's gone. The soft shell crab burger was good too! Did I mention the serving of each burger was huge too?! Spag Dory and Spag Chic from SpagMe tasted really not bad, I bet it would be better if it weren't served cold. Alright, we could blame the cameras for this! (⌣_⌣”) They were priced reasonably for that generous portion too! Make sure head to their food truck and order your favorite spaghetti meal, of course enjoy it hot too! Fried sambal pasta by Qgastrotruck was such a tantalizing and flavorful meal! Qgastrotruck’s menu features an exciting array of pastas, tortilla wraps and chops. Their aim is to serve simple, clean, natural ingredients and to create a mobile gourmet for people on the go and everyone who just loves to eat. They are currently stationed behind BHP petrol station at Taman Melawati and operating from 8pm to 1 am daily. Lasagne, Creme Brulee and Nasi Pulut from Crumb's Cravings surprised me much with their uniqueness of the food! Nasi Pulut with rendang, the rendang meat was perfectly cooked and tender, so delicious. The creme brulee was surprisingly yummy too! Moving to the desserts, I am loving the waffles from My SquareQ! They were made perfectly at the right texture, just the way I like it. Do not forget to enjoy one or two cupcakes from CherylBakes too! They are sinfully delicious and you can forget about the diet on a 'Sun Day Out'! Moving forward, The School aims to introduce even more enriching experiences for both parents and children by bringing in handpicked vendors that offer extensive range of fun learning programmes come this March. For more information about ‘Sun Day Out’ at The School, visit The School’s website at www.theschool.my or Facebook page at www.facebook.com/theschool.my.